Projects Canopy Solutions Tree Service has been a part of. Leading the way in proper maintenance of your local, urban forestry. Here's just a small sampling of projects we've been involved in over the years. 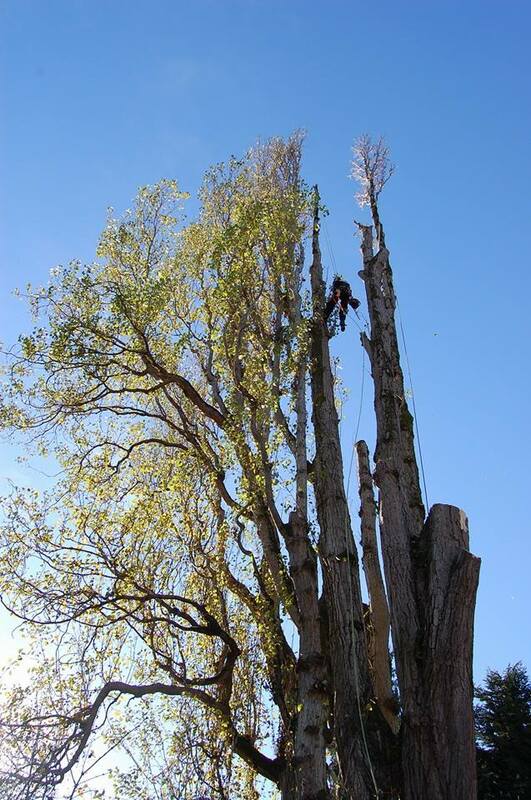 A very large Lombardi Poplar removal downtown with armallaria rot. This tree was full of technically involved rigging. We were working in close quarters to a beautifully landscaped yard and two houses below us. How blessed we are to have such a proficient crew. Extensive experience you can count on! We have the tools and the know-how to get your objectives completed with accuracy, getting you back to life as usual in no time. Our talented staff will fly in to attain your goals. This was a large crane removal behind a house in the Renton area. Click Here to schedule an assessment.